Don’t stop searching for what you want. And if you can’t find it, create it! Ezinne Chinemere, MHS, CHES, began her work as a health educator for an asthma program in Baltimore where many of her clients were low-income and primarily Black/African American. Ezinne began to realize just how powerful and critical knowledge was to her clients’ ability to change their environment and take notice of the hazards in which they lived. Since then, Ezinne has passionately worked to create educational materials and manage programs that empower the communities she serves. Ezinne is of Igbo-Nigerian decent and reigns from Baltimore. She earned her bachelor of science in biology from Frostburg State University and for the longest time wanted to be a physician. However, upon entering her senior year, something changed for her. She realized that she wanted to be among the army of professionals working to prevent the first occurrence of disease — finding her place in the field of public health. Ezinne later earned her master of health science from Towson University and is currently a doctoral candidate at Morgan State University. 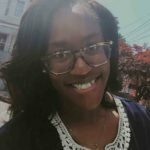 Now, a senior environmental health educator for the Green & Healthy Homes Initiative, Ezinne plans, implements, administers and manages health education efforts. She also communicates and advocates for health and health education. 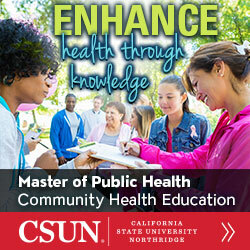 Ezinne’s advice to recent graduates and those interested in working in public health . . . In her free time Ezinne enjoys being outdoors, playing sports and spending time with her husband whom she recently married in May. She is a proud SOPHE member.